Grace is also a beader with the Olorien co-op. Although married at the Olosho oibor village, her original home of birth is Enkorika village. In this village the women combine beads with fabric, usually on shirts or dresses or small accessory items such as purses in a unique way not found in other Maasai sections. Grace’s leap into self-employment begins when she forms Nalepo Enterprises in 2009 after realizing that milk for cereal is not available in the community. She finds a small space in Ngong Hills where she opens a Milk Shop. After buying the milk wholesale, she processes it for sale in her shop, adding sugar and flour to the shelves. As her business grows, she hires three employees: two women and a man. To make it more convenient for her customers she enlists a money transfer service on her phone, as an M-pesa Agent. This is a technology that uses the Safaricom (service provider) platform to transfer money and make payments. It is 2012 and a customer contacts Grace to ask her to design and create a bridal gown along with beaded shirts for the men who will be in the wedding party. Inventory is needed to complete this bridal request. In order to buy the fabric and other materials she sells the milk company and the money transfer service. She hires a tailor and for the next six months she and two women make the fashions from her home. Images from the wedding appear on Kenya Television Network (KTN). The minister, Bishop Julius Tinkoi, who presided over the wedding begins to receive calls from people asking, “Who made the dresses for that wedding party?” With this sudden interest for her work Grace puts together a promotional book of photographs. 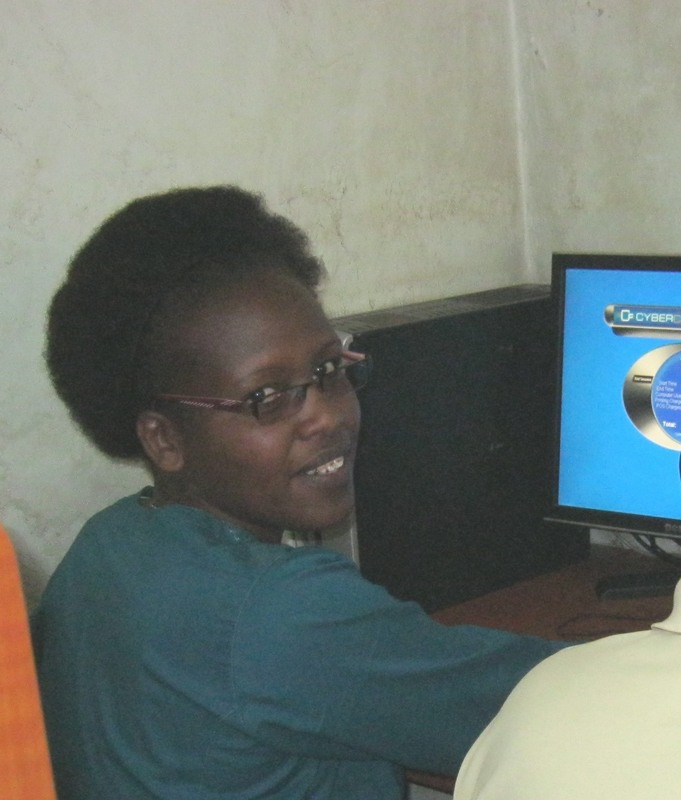 A computer donated to her by Robert Stafford of New Canaan Congregational Church, Connecticut (USA) helps in promoting her products. She uploads them on her face book page and OLX online market. Soon she is receiving numerous orders. In 2013 Grace travels to Bucks County for the second time to represent SIMOO at presentations scheduled by MCEP. 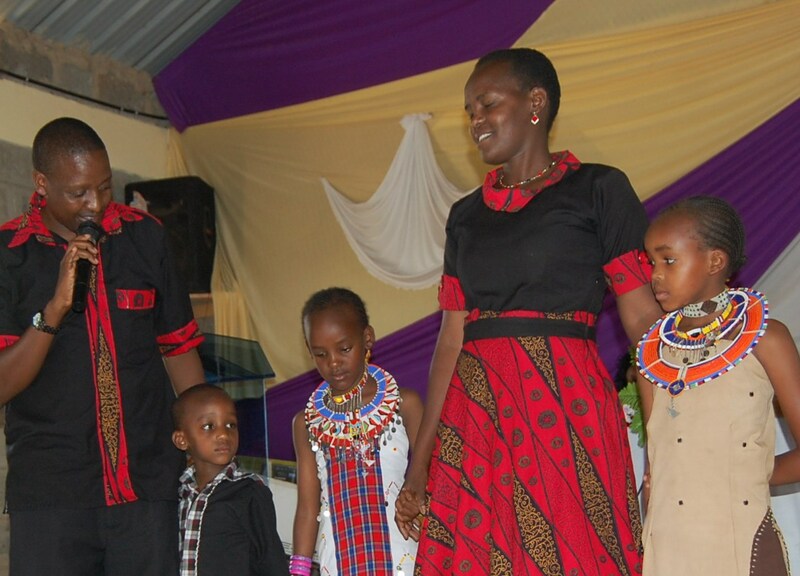 Her husband of six years, Daniel Salau Rogei is the Program Assistant for SIMOO. He will stay at home in Kenya with their three children: Two girls–Linah Silantoi and Faith Rayon–and a boy, Isaac Sabaya. Grace brings several of her original beaded dresses and accessories which are added to the table of Maasai original jewelry. Sales from this day are returned to help with Maasai children’s school fees. We give Thumbs Up to Grace after leafing through her album of photos. One of her dresses for sale on the table calls my name. I buy it and know that because of this transaction a child will attend school. A short time after Grace returns to Kenya she leases a small rental space in Ngong Hills. This is where she’ll manage her sewing business instead of out of her home. In 2014 when a second space one floor up becomes available she takes it and opens a shop to sell her clothes and beaded jewelry. And that brings us to our visit to Grace’s shop after our excursion at the Ngong Hills Market. We arrive to find her putting the final touches on a Maasai-themed dress to be worn that evening in a pageant that will crown Miss Tourism Kenya 2015 in Nairobi. We all agree–This is a Huge opportunity for Grace! Grace’s dress and model were selected to represent Miss Kajiado County at the Nairobi event. Grace brought Linah who is only 6 years old, to the county audition. Linah (in this photo she is third from the left) was thrilled by all the pageant energy and soaks it all in like a sponge in water. Grace tells us how Linah begins copying the way contestants walk across the stage. The pageant organizer Naisiae Karia, so taken with Linah’s outgoing personality, gives her time on stage to greet the audience at the opening of the Miss Kajiado County finals. I ask Grace, What are your goals for the future? The clothes she designs carry a well-made finished look. She also celebrates the Maasai colors and fabrics, keeping the traditional while mixing a contemporary look. Grace is currently designing shirts for Moses ole Sakuda. He is a Maasai who serves in the Kenya government’s Parliament for Kajiado West. Moses ole Sakuda will wear Grace’s shirt at an upcoming major political rally that will take place in her home village. Part of her clientele includes staff in the State House who work for MP Sakuda. Grace is also enrolled in classes for Fashion and Design at a vocational training school in Ngong Hills. One day soon I believe Couture by Grace will be walking down the Red Carpet! While in Maasailand I hope to interview some Maasai women and feature each of them on The Bucks Underground Railroad during March–Women’s History Month. Susan is the first of five. My initial meeting of Susan is in May 2005. She, along with Daniel Salau Rogei are special guests at a Meet and Greet in Peace Valley Park hosted by Phyllis Eckelmeyer. It’s at this event I purchase my first piece of Maasai jewelry. Susan doesn’t speak a word as she snaps the bracelet around my wrist. 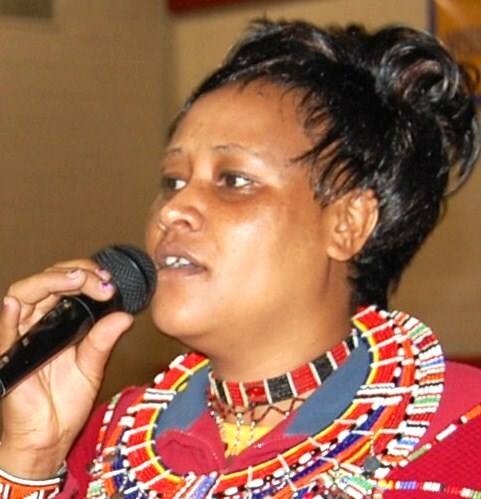 Nine years later, that quiet demeanor I witness blossoms into a confident and knowledgeable woman–born from her experiences of speaking in front of hundreds of people about her Maasai culture. 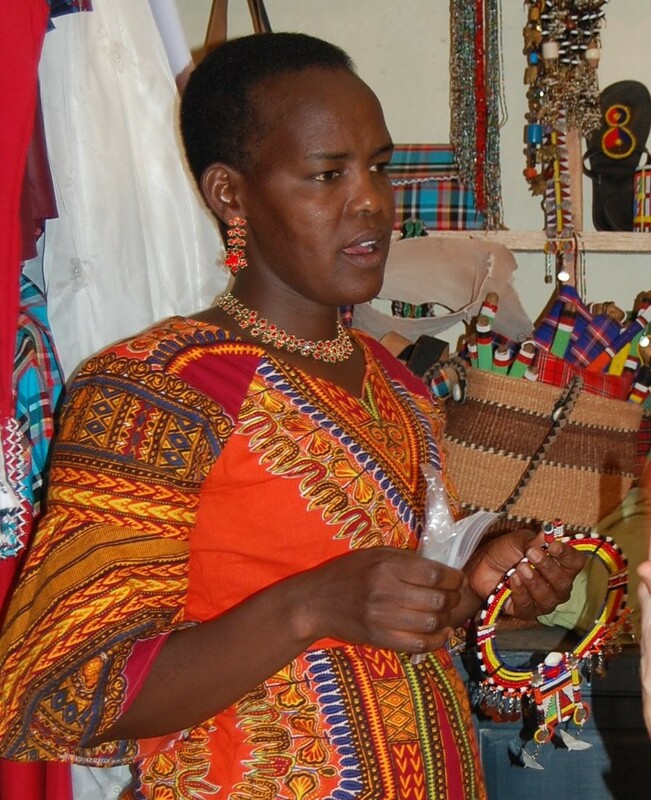 Beaded jewelry becomes the means by which Maasai women form their own micro-finance company: Olorien/SIMOO. Susan’s compound is the meeting place where as many as thirty women regularly gather to create traditional and contemporary pieces of jewelry. In addition to the income from their jewelry sales the women raise chickens to sell eggs at the market. Extra vegetables are also sold at market. Now when Susan travels to Bucks County she brings jewelry created by women from the co-op. She keeps a ledger of all sales so that the money can be returned to each specific woman. Olorien also partners with HairZing, an American company owned by Francesca Kuglen and Hollie Montgomery. The women support female crafters in developing countries by offering their products for sale on Hairzing’s website. The partnership with Olorien becomes more solid in 2008 and 2009 when the two executives travel to Kenya in order to meet with the women and assist them in ways to improve the marketing of their jewelry. We at MCEP were aware that Susan traveled to Washington DC last June; but we had no details. Now as I interview her and ask about her 2014 visit, there’s a backstory to her representing the Maasai culture from the Olosho oibor village at the Smithsonian Festival 2014. So begins the introduction on the Festival’s 2014 website about this event. 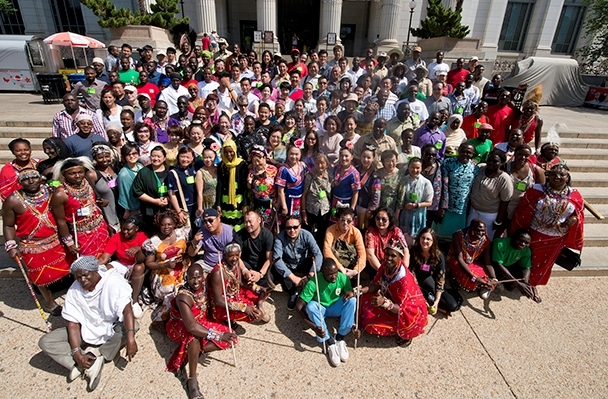 Kenya and China will be the featured Nations where their cultures of “… song and story, movement and craft in tow, exemplars of traditional genres demonstrate practices that continue to resonate in our modern world.” This picture is of the Kenyan and Chinese participants also from the 2014 Smithsonian Festival’s website. Susan’s adventure begins when a Kajiado County Cultural Coordinator (the County where Olosho oibor is located) comes to interview the singing group in her village. Susan is a member of this group and they are one of three Maasai singing groups from different regions that will be interviewed. All the singers travel to Nairobi for a second audition at the Sports and Culture House. As each singer is interviewed individually, Susan’s responses are noticed. They ask about the jewelry she wears and she thoroughly describes the meaning of the colors and designs. Susan is asked to return to Nairobi, minus the singing group. She is asked to talk about aspects of her Maasai culture. 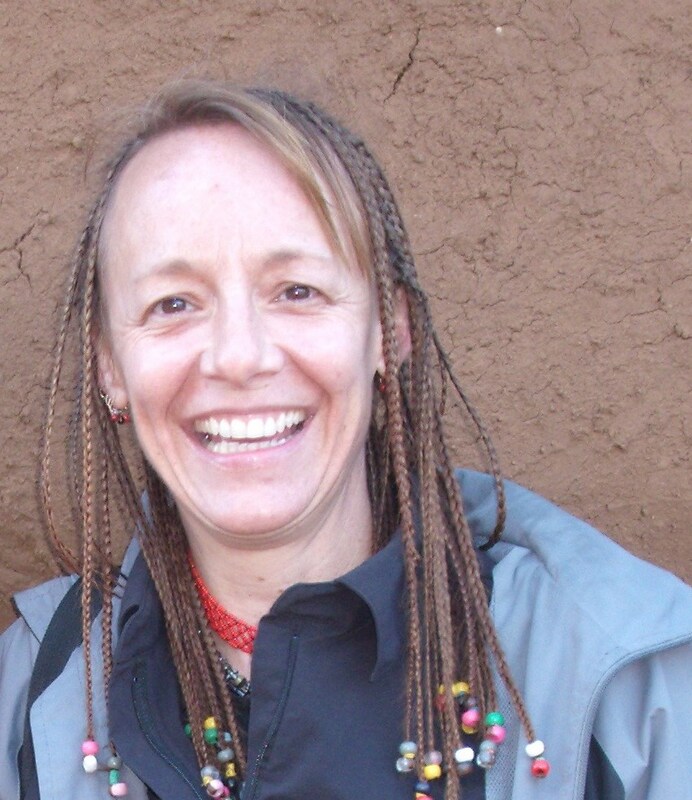 She describes her jewelry, the tasks of building manyattas and Maasai wedding ceremonies. She shines brighter than the brightest star in the dark Kenyan sky! Her multiple travels to Bucks County are proof of what results after speaking many times before hundreds of students and academics at schools or colleges, and to professionals at organizations. These life experiences of her visits to America as well as her ability to speak distinctive English and having a valid Visa are the perfect resume that eventually take her to the 2014 Smithsonian Festival. Susan speaks warmly about her two weeks in America. The Festival ran from June 22 until July 7. Each day from 11 a.m. until 5 p.m. she joins other Maasai on the Mall surrounding the reflecting pond. Each of the Maasai are sheltered in a separate tent and available to describe their unique cultural knowledge to tourists. Other Maasai representing their culture at the Festival include a woman and man storyteller, a musician, a carving artist, a weaver and a hair braider. The participants enjoy an outing to Williamsburg and when I tease Susan by asking if ‘room service’ was most fun, she giggles instead of answering my question. She keeps in touch by cell phone with the hair braider–having made a lasting friend from her trip to America. Susan and Francis’ two sons Ezekiel and Amos mentioned in my previous post, The Compound in Olosho Oibor Village are continuing their education–one at a prestigious boarding school, the other in his first year of college. They represent the next generation that will continue the legacy of their Maasai culture. To realize the role of Maasai women in their community, you must understand that this indigenous tribe is based on a patriarchal culture that limits women to specific roles. The men are the decisive leaders and the property owners, proud mostly of their livestock which in their culture is just the same as money. More cows mean more wealth to the man. The women own their jewelry and the milk, dung and urine from the cows. Although the women build the manyattas from the cow dung and urine, manyattas are also considered property that is owned by the man. However, compared to cultures in some other parts of the world where women are severely reduced to be less than dirt on the ground, I praise the forward thinking of the Male Leaders in the Olosho oibor village who support their women and thereby are uplifting the entire community. Women’s History Month is a celebration about advances accomplished by women everywhere; therefore I will write about five Maasai women from the Olosho oibor village who’ve made a difference. Know that behind each of these women there are hundreds of other Maasai men, women and children who are benefitting from the accomplishments brought about through Susan, Sarah, Veronica, Leah and a second Susan. Each of these Maasai women will be featured separately in an upcoming post. 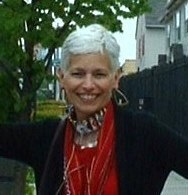 Cofounded MCEP in 2004 when she first met the Maasai on the Hamilton Train Station platform. She listened to the struggle occurring in their village of Olosho oibor. Phyllis could not possibly envision the impact that would occur to the 5,000 Maasai in that village when she vowed, I want to raise money for a well. Seven wells are now strategically placed across this “village” that covers land nearly the size of Bucks County. The other co-founder whose corporation, Frog Pond is the non-profit tax exempt umbrella for MCEP. This past December 2014 Jen traveled to Olosho oibor during a business trip. On her return to America she shared her observations that became a guide for our February 2015 Kenya itinerary. A teacher and long time friend to Phyllis. 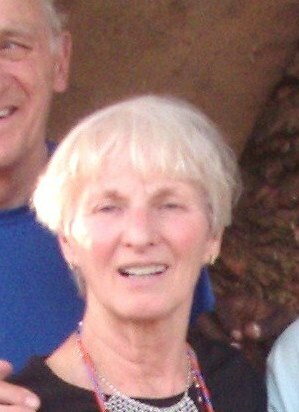 Alice came on board in 2004 and currently administers the education program for MCEP. She tracks our American sponsors who donate funds so that children can continue their education from primary all the way through high school. And I can’t forget: Four (4!) Maasai young adults are now attending local colleges. Sunday, February 22, 2015: A bright and warm Sunday morning greets us. The cold white-snow winter back in America is nowhere to be felt here. I take the short walk across the compound with my plastic tub to be filled with warm water for the morning ritual of a “bird bath”. This is a small inconvenience compared to turning a spigot for water to flow from faucets or shower nozzles. It’s impossible to imagine not bathing at all because the water from a 5-gallon container is not clean and is used sparingly for cooking and drinking. Now bore holes from seven wells carry water through pipelines to cisterns placed throughout the village. “Before the wells it was a struggle to find water every day. Now I can bathe and wash my clothes with clean water”, so we hear a few days later from a Maasai woman. This will be the only opportunity for me to wear my Maasai dress with its colorful beads and metal discs that make a gentle tinkling sound when I walk. Phyllis and Alice also are dressed in their finest Maasai garb. 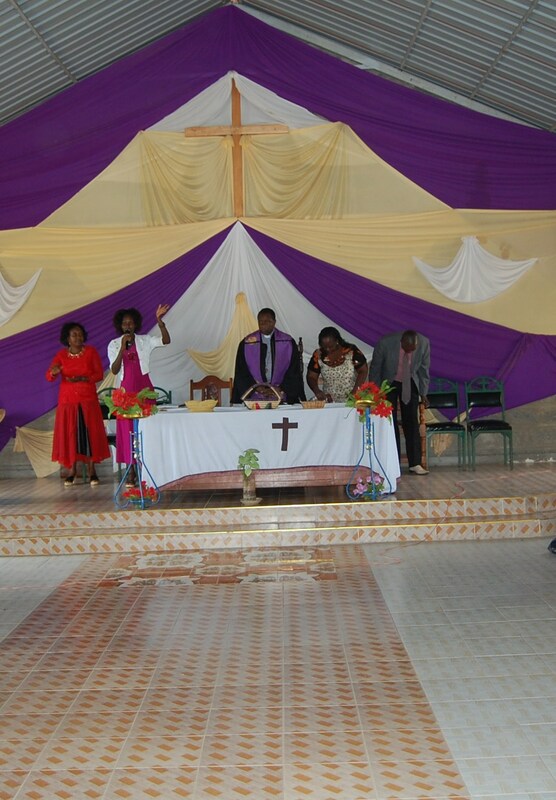 The denominational church prevalent throughout Kenya is the Presbyterian Church of East Africa (PCEA). In 2009 I attended a PCEA church service. This visit I’ll be worshipping at a different PCEA church, one located on the grounds of the Olosho Oibor Primary School. It was in 2009 that I photographed over half a dozen children at this primary school, children sponsored by donors from the Delaware Valley. The school now has a cooking hut which feeds lunches to the children. This is a godsend because for many children, having a meal at lunch means they’re able to attend school. An infirmary is also on these grounds. Next to it is a maternity building where up to six women can stay prior to the delivery of their babies. Yet another addition on these grounds is a protected area with dormitories for rescued young girls who ran away from early marriages or FGM (Female Genital Mutilation). Even though the Kenyan government recently passed a law forbidding FGM, it still continues in some communities. 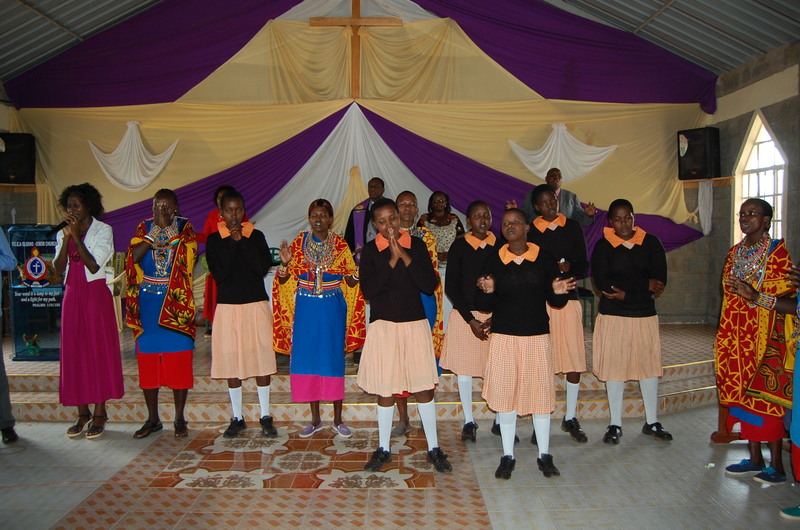 At right are some of the girls from the safe house dancing and singing at the service in their tangerine and black “Weekend Uniforms”. There are currently 60 girls living in this sanctuary. I will in a later post write a separate blog about the history of the safe house. Church begins at 10 a.m., a service that mixes traditional Maasai music and dance with Christian Bible readings, music and prayers. As guests, we are invited to introduce ourselves to the congregation and describe our relationship to MCEP. Toward the end of the four-hour service everyone in the congregation rises from their seats for a delightful Massai dance and chant down the center aisle. I start my movie camera and hope I’ve captured a moment to be treasured. After the church service the documentary QUENCH is shown to everyone. Many of the young people under ten years of age watching the documentary this morning have no conception of walking 7 to 10 miles every day to fetch water. Daniel Salau Rogei, Program Assistant for SIMOO speaks after the film and encourages the young people to continue the legacy of their Maasai culture. Saurday, February 21, 2015: We have an hour’s ride from Nairobi before arriving at midnight to the compound of Susan Naserian and Francis ole Sakuda. There is no light pollution and standing out in the dark night, it’s overwhelming to see hundreds of stars, so bright and close enough to touch. The Big Dipper sits low in the southwest sky, ten times bigger than it appears in Doylestown. Francis and Susan will host us during our stay. Both of them have traveled to Bucks County at different times over the past nine years to participate in our cultural exchange programs at schools, organizations and houses of worship. Francis is the Director of SIMOO, the Non-Governmental Organization (NGO) that manages the donations MCEP sends to this Maasai community for education, water and women’s projects. In previous years at separate times each of us—Phyllis, Alice and I—traveled to Kenya and stayed in this compound. There is no plumbing but electricity from solar energy is available to light our rooms in the evening hours. That being noted, we’re thrilled to be back in Maasai land! 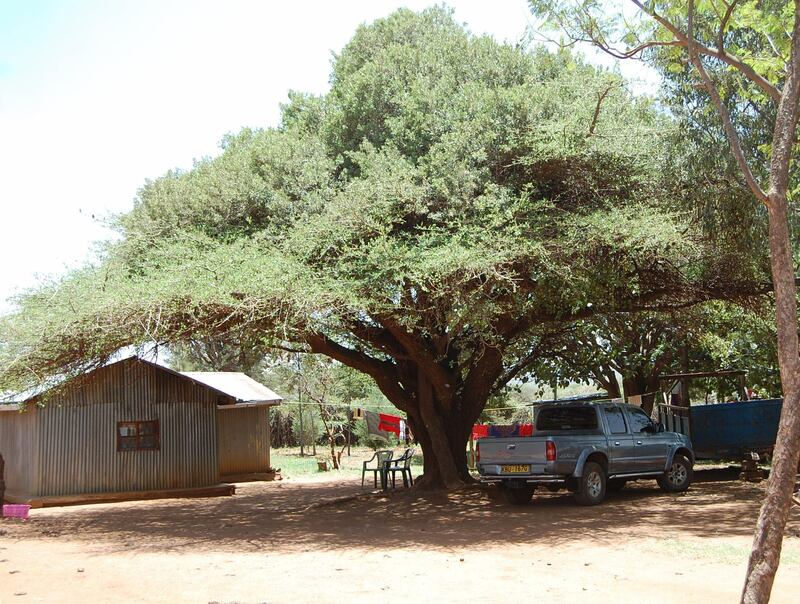 The compound is surrounded by a barrier assembled from the thorny branches of the acacia tree. This keeps out wildlife. Francis has two separate fenced areas inside the compound for his cattle and goats. Almost every night during our stay the dogs wake us from barking at wildlife on the other side of the barrier—usually it is hyenas trying to get to the cattle or goats. 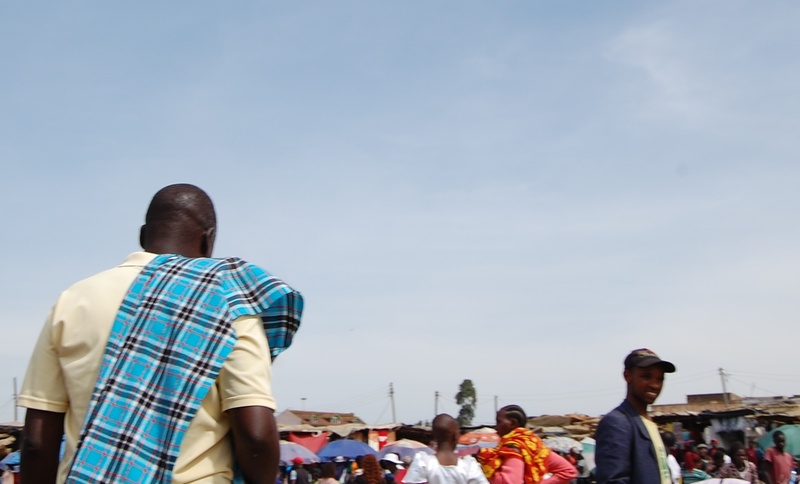 On Saturday morning we travel into Ngong Hills to email family of our safe arrival and take a stroll through the market, so busy it puts Rice’s Market to shame: Vendors’ blankets piled with goods for sale, blankets so close together they overlap on all sides. We gingerly step over and around blankets that are piled with goods including shoes, clothes, pots, pans, utensils, fresh vegetables, brooms, dried beans, music videos, miniature propane cooking stoves and more shoes and more clothes. Taking photos is not allowed. I hug my camera to my waist as I try to snap one. Doesn’t work—The picture above captures just the heads of vendors and buyers. Then some observant man yells at me—“No pictures! No pictures!” So much for being sneaky. Tomorrow is Sunday and we go to church. And I’ll share a weather report. We’re near the end of a two-hour layover in Paris on February 27 before flying on to Nairobi. Looking out the window is a Kenya Airways jet that we’ll board for the final destination of our journey to Maasai land. The flight crew arrives, the wheels on their compact luggage humming along the marble tiled floor. They greet the attendants at the boarding counter before disappearing into the tunnel. With the exception of one of the three attendants at the check-in counter, the rest of the crew—from the pilot, co-pilot to the flight attendants—they are all Africans. The last time I was a passenger on an airline with a Black crew was in 1999 when flying to Ghana. The brothers and sisters are in charge and this is such a sweet gift to witness this Black History Month of 2015! Unlike many travelers who have no problem sleeping on a jet plane, I cannot! And like many airlines, Kenya Airways has a signature magazine tucked in the pouch of the back seat: MSAFIRI. So…with a long flight ahead I open the magazine, hoping it’ll help me fall asleep. The February 2015 edition features Angelina Jolie on the cover with an article inside about her ambassadorial efforts around the world. Kudos to Ms Jolie on this post written this Women’s History Month of March 2015. Her admirable tasks are happening in many places around the globe and she’s on my list of heroines. A second article about Meru National Park, a tourist and conservation area 216 miles north of Nairobi catches my interest. Fundraising and awareness are helping this park come back to again become “…a jewel of Kenya’s tourism”. During the 70s and 80s poaching affected 90% of the lions and elephants. Rhinos were gone. Diseases hit the remaining wildlife and the park’s infrastructure “collapsed”. Since 2000 several companies and organizations are helping the Kenya Wildlife Service (KWS) bring this park back to its previous status: Agence Francaise de Development (AFD), International Fund for Animal Welfare (FAW), and the Born Free Foundation. The Born Free Foundation was co-founded in 1984 by the two actors in the 1966 Oscar winning film of the same name: Virginia McKenna who played Joy Adamson and Bill Travers who played George Adamson eventually married each other. Now their son Will leads the charity. In 2013 Land Rover came on board as a partner to the Foundation. The Land Rovers were prominent in the film and are now used to reach wildlife in remote areas of the park. 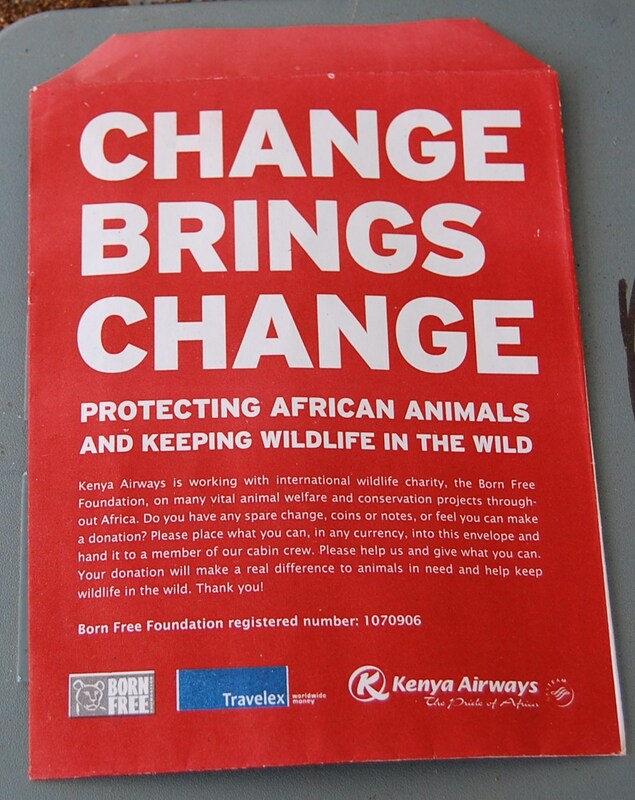 Small red envelopes with the words CHANGE BRINGS CHANGE are tucked in the back seat pouches, encouraging passengers to deposit coins or bills that are then handed over to a cabin crew member. It pains me to realize that at wildlife parks in Africa, elephant tusks and rhino horns are two items aggressively taken from these animals after poachers kill them. The partners involved with the Born Free Foundation are doing their best to protect these beautiful beasts from landing on an extinct species list, as well as returning other wildlife and reinvigorating the 10,000 plus acres of Forest in the Meru National Park.